Last August (2016) we first leaned that there was an animated movie coming out based of the late 1960’s Batman TV show, called Batman: Return of the Caped Crusaders. Which would star Adam West, Burt Ward and Julie Newmar. It was released on Blu-ray/DVD on November 1, 2016. Really enjoyed this movie. After was wondering if the would ever make another. Turns out they have. 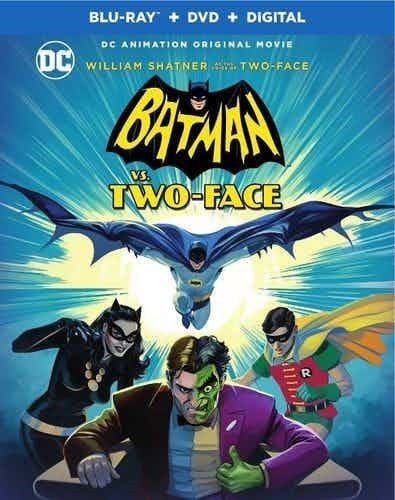 It is called Batman vs Two-Face. Two-Face will be voiced by William Shatner. Wasn’t to sure how well that would work out. But was nicely surprised when I watched the trailer > here or below. It is set to be out October 17, 2017.